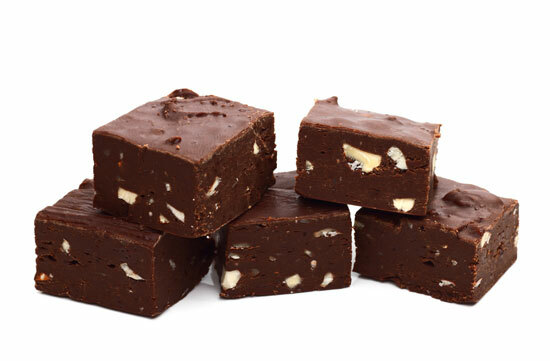 The easiest fudge made possible with CandiQuik! 1. Chop entire block of Chocolate CANDIQUIK® into small pieces. 2. In a medium saucepan, heat 1/3 cup milk over medium-low heat until simmering. Once simmering, add chopped CANDIQUIK® and stir constantly until all chunks are melted. 3. Remove from heat, add 1/3 cup chopped pecans and pour CANDIQUIK® mixture back into its original tray. Place in refrigerator until completely solid. Cut into squares and serve.